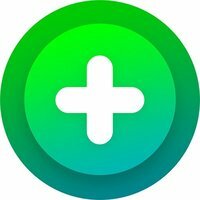 Flipgrid lets students record videos. It's so simple that even kindergarteners can navigate it. VoiceThread allows multiple users to record comments in a slide show. This could be used for collaborative assignments or assessment. Spark lets users create professional looking videos with ease. ​This book discusses the importance of making education and policy decisions based on research. Barnard-Brak, L., Stevens, T. & Albright, E. (2017). Academic red-shirting and academic achievement among students with ADHD. Contemporary Educational Psychology, 50, 4-12. Bassok, D., & Reardon, S. F. (2013). "Academic redshirting" in kindergarten: Prevalence, patterns, and implications. Educational Evaluation and Policy Analysis, 35(3), 283-297. Gottfried, M., Le, V., & Datar, A. (2016). English language learners and kindergarten entry age: Achievement and social-emotional effects. Journal Of Educational Research, 109(4), 424-435. Hover, A. B. (2015). How student enrollment in kindergarten readiness classes affects future academic achievement. Journal of Research in Education, 25(1), 57-68. Huang, F.L., & Invernizzi, M. A. (2012). The association of kindergarten entry age with early literacy outcomes. The Journal of Educational Research, 105, 431-441. McNamara, J. K., Scissons, M., & Simonot, S. (2004). Should we "redshirt" in kindergarten? A study of the effect of age on kindergarteners' reading readiness. Alberta Journal of Educational Research, 50(2), 128-140. Raffaele Mendez, L. M., Kim, E. S., Ferron, J. & Woods, B. (2015). Altering school progression through delayed entry or kindergarten retention: Propensity score analysis of long-term outcomes. The Journal of Educational Research, 108, 186-203.